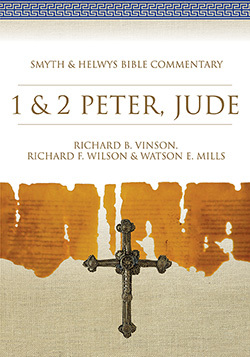 The Smyth & Helwys Bible Commentary series brings insightful commentary to bear on the lives of contemporary Christians. Using a multimedia format, the volumes employ a stunning array of art, maps, and drawings to illustrate the insights of the Bible. It is built upon the idea that meaningful Bible study can occur when the insights of contemporary biblical scholars blend with sensitivity to the needs of students of Scripture. In addition, the CD-ROM, which offers powerful searching and research tools, pairs the text with a digital resource that is a distinctive feature of this series. Richard B. Vinson is professor of Religion at Salem College in Winston-Salem, North Carolina, and affiliate professor of New Testament at Union Presbyterian Seminary at Charlotte. Vinson holds degrees from Samford University, Southern Baptist Theological Seminary, and Duke University, and previously taught at Averett University and Baptist Theological Seminary at Richmond. Richard F. Wilson is the Columbus Roberts Professor of Theology and the Chair of the Roberts Department of Christianity in Mercer University’s College of Liberal Arts in Macon, Georgia. Since 1995 he has been active with the Baptist World Alliance; from 2010–2015 he will be the Chair of the BWA’s Commission on Christian Ethics. Currently he is committed to developing relationships between Ricks Institute, a K–12 boarding school near Monrovia, Liberia; Mercer University; and an array of private boarding schools and churches in the Southeast. Watson E. Mills was professor of New Testament in the Roberts Department of Christianity in the College of Liberal Arts at Mercer University from 1979 to 2001. 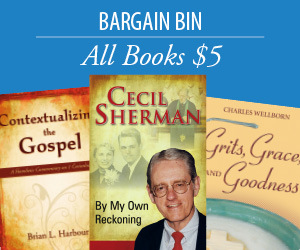 He was also the publisher for Mercer University Press; the editor for Perspectives in Religious Studies, Religious Studies Review, and the Bulletin of the Council of Societies for the Study of Religion; and the pastor of the Sharpsburg Baptist Church in Georgia. He was the general editor for the Mercer Dictionary of the Bible and the Mercer Commentary on the Bible and has written and edited numerous other books.